Three different spaces for all variety of visitors, from bar hoppers to groups to serious diners. In 2015 a 600-square meter panel beaters workshop was reborn as a bar and eatery from the collaborative desire of 3 friends living locally in Preston. They wanted to create a venue they'd go to themselves for great food and a drink. Stray Neighbour is fully licensed bar and restaurant with indoor and outdoor seating. It offers three different spaces for all variety of visitors: bar hoppers, groups and diners. The bar has 12 beer taps rotating seasonally complemented by a predominantly Australian wine list and classic cocktails. If you like eggs, bacon, doughnuts and coffee; we have got you covered! Serving breakfast from 9am to 3pm Saturday and Sunday! Don't wait. Please note, we require bookings of 8 and more on a Friday or Saturday to be on our Feed me menu - comprised of shared appetisers, entrees and mains. Please note: Web reservations are not confirmed until you receive an email with your reservation details. "Some of the things on the menu, we couldn’t even pronounce,” says co-founder of a new venue, Andrew Chew. “We didn’t even know where they were from.” Guess the suburb. Carlton? Nope. South Yarra? Not even close. Here's the optimistic bar and restaurant that will unpick any lurking jibes about not-hip-enough Depreston, one pint of craft beer at a time. 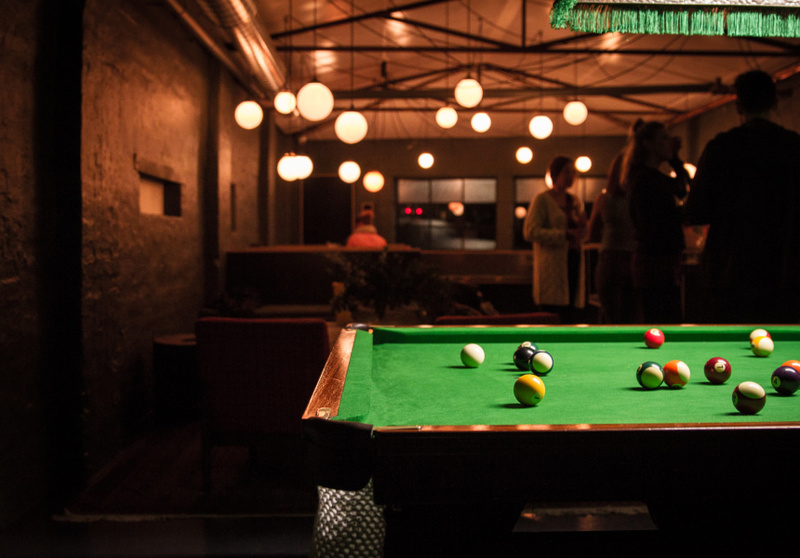 You could think of Stray Neighbour as a gastropub in industrial skin: there's an astroturfed beer garden out front and the massive ex-panel beater interior has been gently demarcated into bar, dining room and handsome saloon with pool table. Tin ceilings and factory windows could make the place cold but the heating is good and a forest mural and swooping touches of green bring warmth and whimsy. It was only a matter of time. High Street Thornbury is so bursting with great bars and restaurants that those on the other side of the track that is Bell Street just had to be patient. Stray Neighbour on Plenty Road is one of the first to sprout. It melds bar, restaurant and gastropub seamlessly — a feat that should not be taken for granted. Where a lounge area with pool table could have brought the warm industrial vibe of the dining area down towards 'grunge', it doesn't. Where a vast timber-clad bar area and casual booth-style seating with bare wooden tables could have made you doubt the focus on and delicacy of the food, it doesn't.